Thanks for bearing with me on the website changes this week. I can’t think of a good way to segue out of that, so I’ll just use my jazz hands move on. Many people have asked me what it is like to live in Ireland without a car. I think they might really be asking if we are crazy, but that’s fair. On Monday, I shared our experience on this topic. The second question I ALWAYS receive about not having a car is if I’ve forgotten how to drive! In my experience, it’s more or less like riding a bike. So, get out your helmets! Ha! On Wednesday I shared a fun, easy and pretty inexpensive way to jazz up your closet. Closets need love too! Here’s what is on the Happy List this week. Remember the viral video of the man rescuing a rabbit from the side of the road during the California wildfires? Here’s the happy ending to that story. Last month that rabbit was released back into the wild. 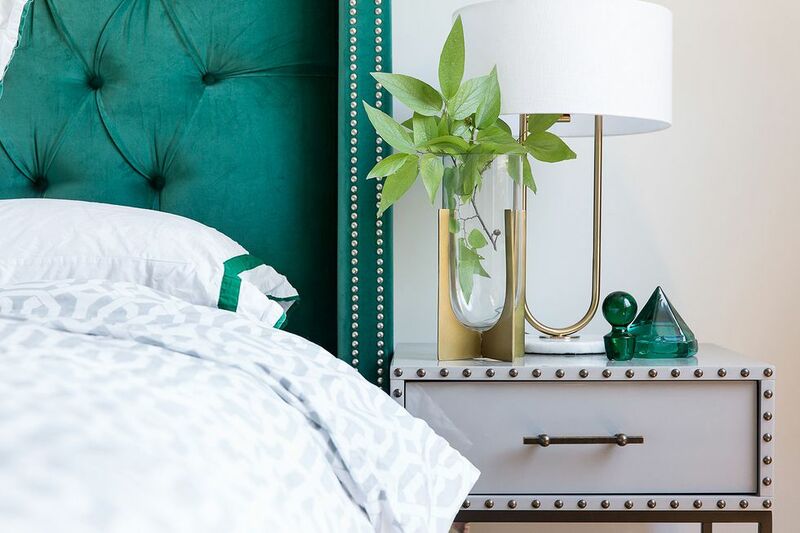 This headboard shown on Elle Decor – I don’t know where it is from – just made me smile! I do like a cozy-looking bed! Washi tape is one of those things I have an irrational need to buy. Most of the time I have no actual need for it, but I enjoy looking at it. Is that weird? Don’t answer that. I can think of at least 6 people who would love this book washi tape . My daughter being one of them. And if my kids are going to play with use tape, I prefer it be the more easily removed washi tape. When we lived in Oregon, our children’s preschool was located next door to a nursing/retirement home. Once a week, the children would go visit the ‘grandmas and grandpas.’ They would sing songs, read books or play a game. The grandmas, in particular, would spend months crocheting little animals for each child for Christmas. My kids LOVED this weekly visit and the residents of the nursing home benefited from it as well. 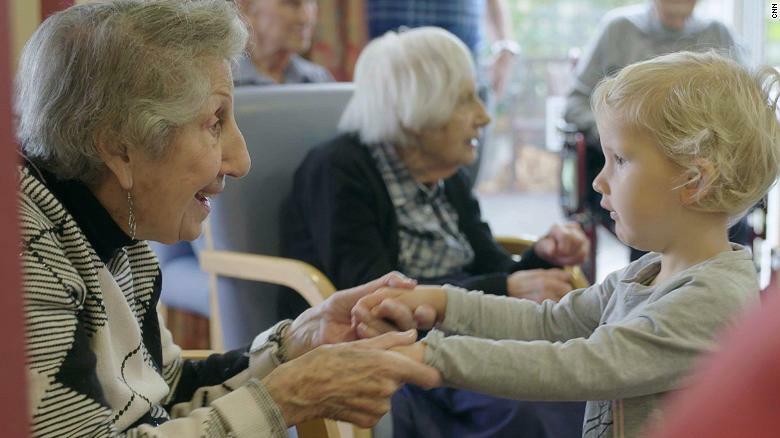 Here’s a story from CNN about a residential home for the elderly in London that has opened a daycare onsite. The elderly residents aren’t the caregivers, but they do interact with the kiddos. Young and old seem to be benefitting from the added stimulus and extra love. Stories like this warm my heart! 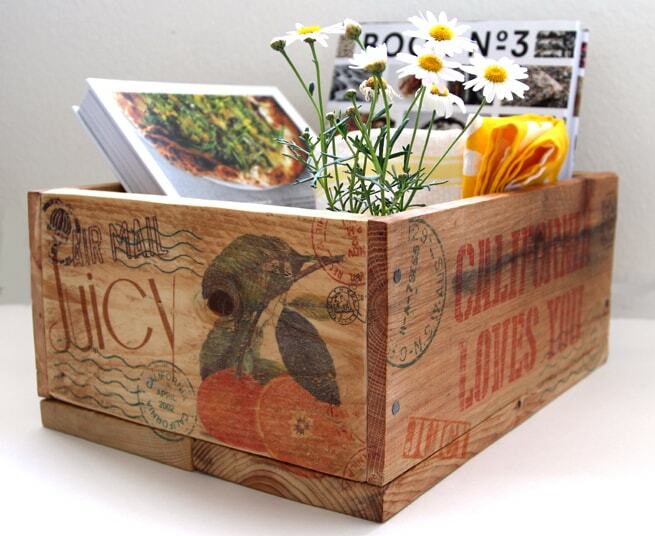 Just when I think pallet wood projects are about to die, I see someone make something super cool. 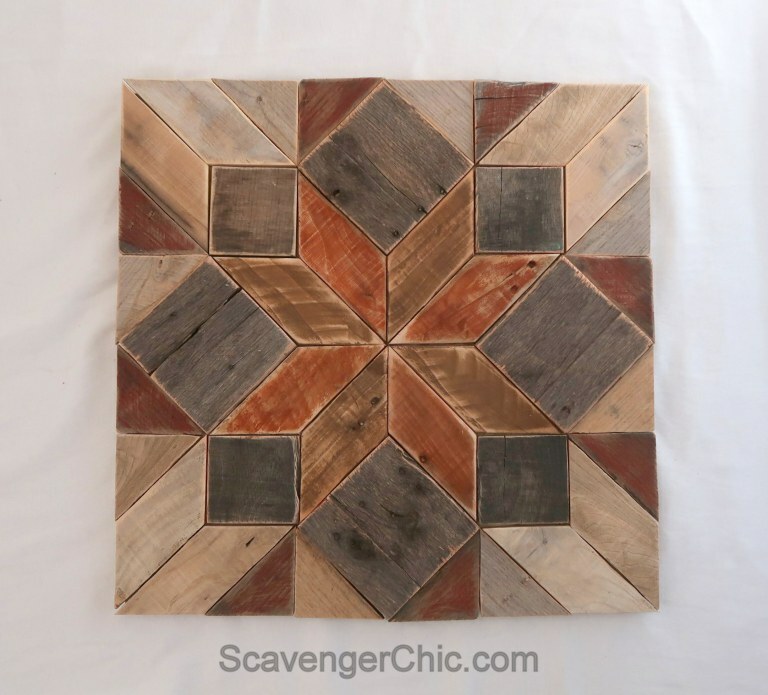 This wood quilt square by Scavenger Chic is probably the neatest idea I’ve seen in a long time for pallet wood. I wonder if I can convince Handy Husband to make me one? I’m imagining it in colors that would work for my home. Or maybe reds for Christmas? And if you’re wondering how to make it? She takes you through the process step-by-step. I don’t like to take quotes out of context. Words can be abused that way. I’m acknowledging I might be stepping into that territory here because I don’t have Justin Trudeau’s entire remarks on the day he made this quote. When I think about my kids – ALL our kids – and their future well-being, this sums things up for me. I am curious about transferring images onto wood and also scared to try it. This tutorial involves printing on wax paper using an inkjet printer. On my best day, my printer and I don’t get along. I can’t imagine how it would react if I put wax paper in it! The tutorial, including what not to do, is on a fantastic, new-to-me site, A Piece of Rainbow. Anyone interested in staying in a hanging lodge in Peru? You might have to rappel to your room, so I’d suggest packing light! 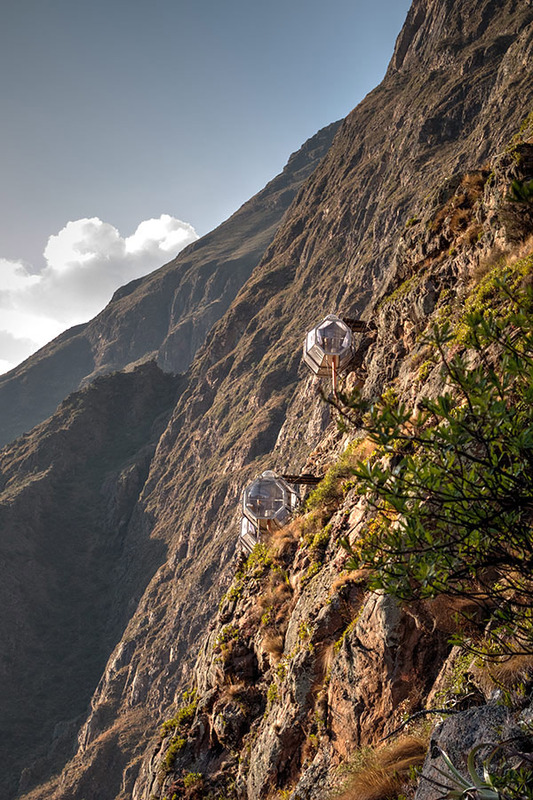 This is the Natura Vive SkyLodge Adventure Suite above the Sacred Valley in Peru. It might be a little too rustic for my tastes, but I’m intrigued by the idea! I’m also wondering where’s the bathroom? 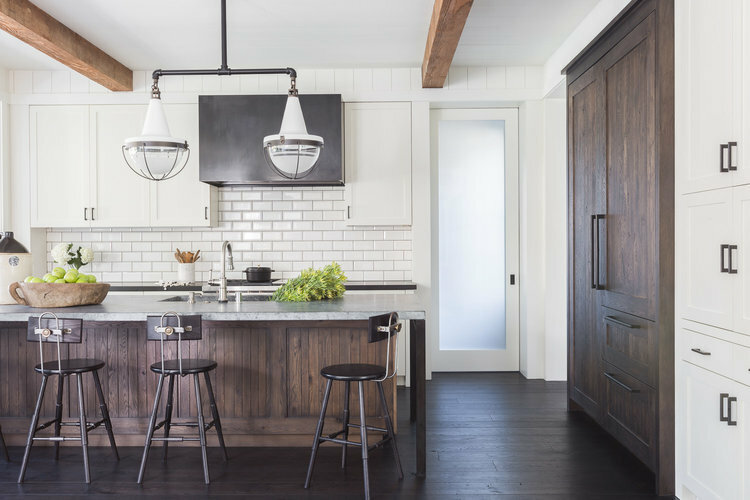 I love the combo of white cabinets and dark wood in this kitchen photographed by Alyssa Rosenheck. If I was to build a kitchen right now it would have a combo of white and wood cabinets. Happy Friday, everyone! Enjoy your weekend.